Blink-182 was an American trio that played pop punk and punk rock music. 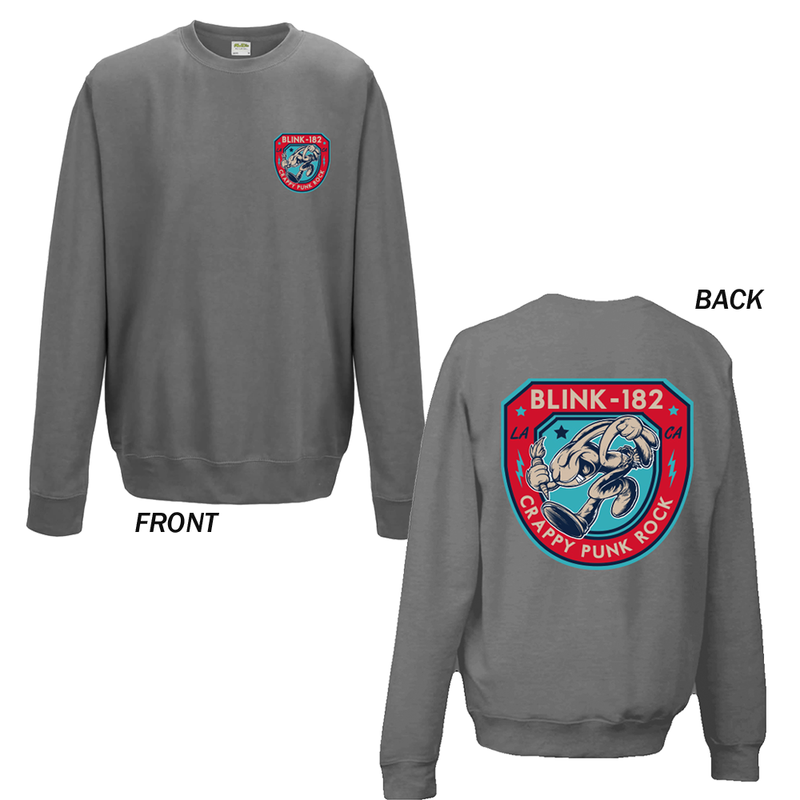 The band was originally formed in 1992 by Tom DeLonge (vocals and guitar) and Mark Hoppus (bass and vocals) who quickly recruited Scott Raynor (drums) in Poway, California, a northern suburb of San Diego. Originally, the band's official name was "Blink". However, the numerical three digit suffix was appended early in their career following an objection from an Irish band with the same name. In 1998, midway through a U.S. tour, Raynor announced that he was leaving the band, due to undisclosed reasons. Travis Barker was touring with The Aquabats at the time, on the same bill as blink-182, and DeLonge and Hoppus realized that their new drummer had to be Barker. DeLonge left the group in early 2005, with the band portraying it as an "indefinite hiatus" and virtually ceasing to exist. DeLonge went on to play alternative rock in a band called Angels & Airwaves, while Hoppus and Barker continued in a similar genre with their band +44. In the wake of the Greatest Hits album and the announcement of his new band, DeLonge suggested that the mounting tension between himself and Hoppus, caused by DeLonge's desire for a break with his family coupled with Hoppus's feelings of betrayal after the formation of Box Car Racer, were the primary reasons for tensions within the band. In August 2006, contrary to DeLonge's statements, Hoppus said that the band had been getting along at the time of their final album. Hoppus went on to say that DeLonge requested a half-year respite from touring to spend time with his family, despite a planned final spring U.S. tour. Further problems arose in discussions regarding the band's future recording endeavors. In multiple interviews since then, Hoppus has mentioned that he and Barker are still members of Blink-182 and could tour as such as they wished, because DeLonge left the band, but will not. Blink-182 was known for their catchy, simple melodies, teen angst, and lyrical toilet humor. Songwriters Hoppus and DeLonge cite punk rock bands such as NOFX, The Descendents, and Screeching Weasel as their early influences, however, the band's songwriting and production was driven by a pop sensibility and they were primarily known for popular hits such as "All the Small Things", "Feeling This", "Adam's Song", "What's My Age Again", "The Rock Show", "Dammit" and "I Miss You".